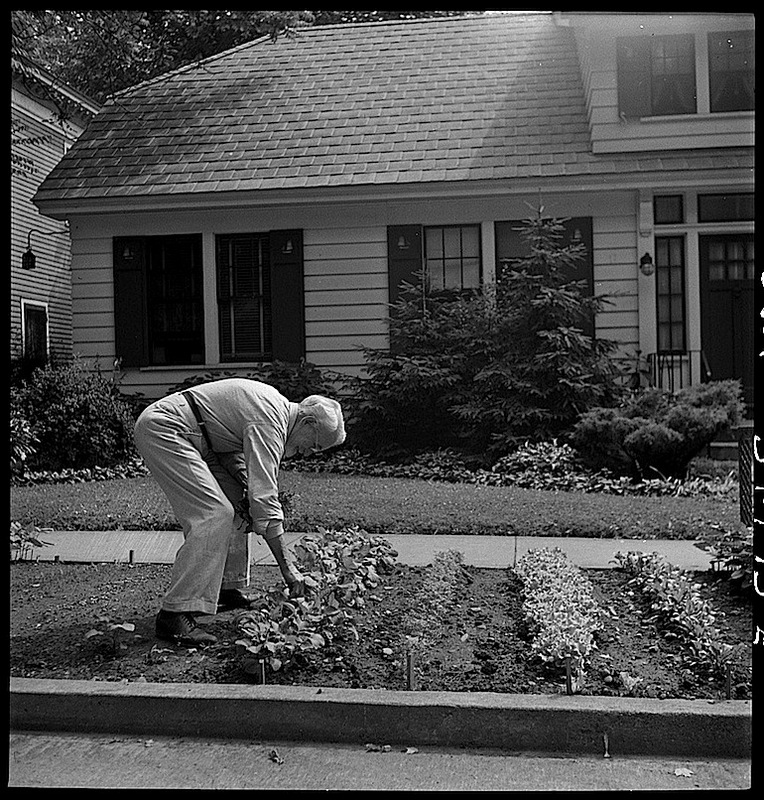 “A citizen working on Sunday morning in the victory garden he has made on the edge of the street,” Oswego, New York, June 1943, by Marjory Collins, via Library of Congress Prints and Photographs Division (all photos here). 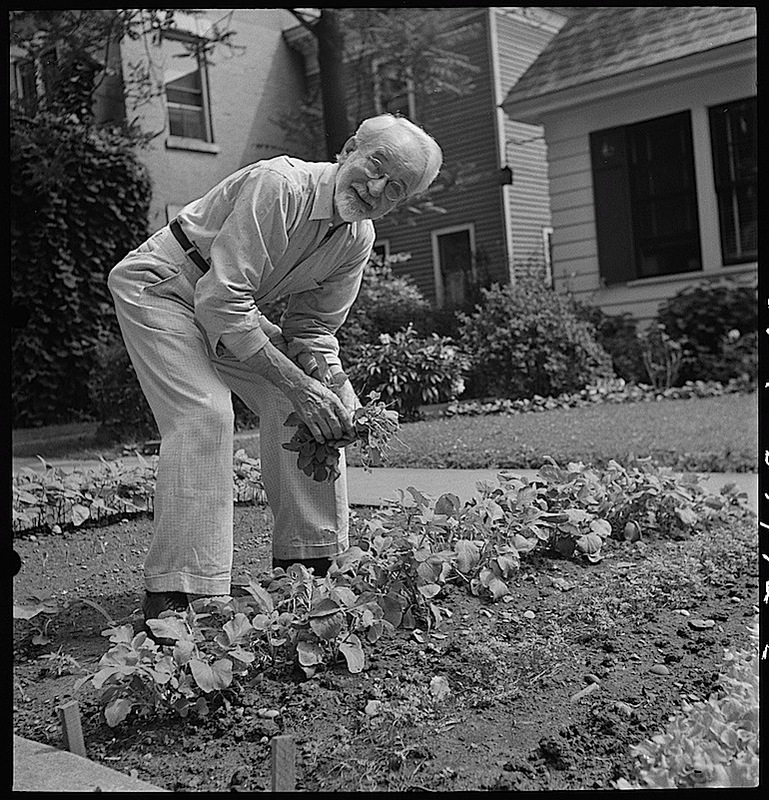 “Reports estimate that by 1944, between 18-20 million families with victory gardens were providing 40 percent of the vegetables in America,” according to Smithsonian Gardens. 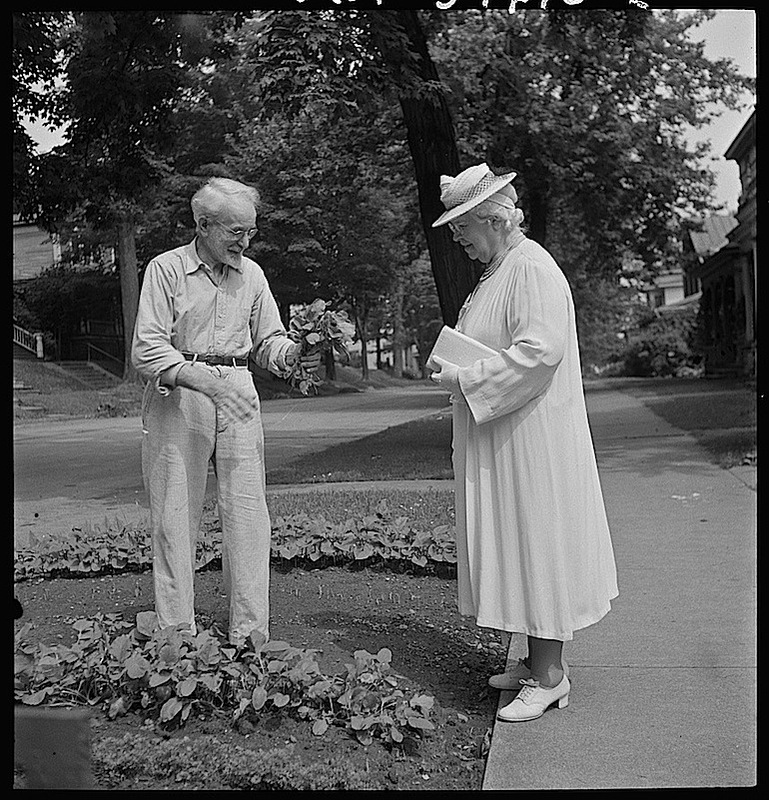 Showing his wife vegetables as she starts on her way to church. 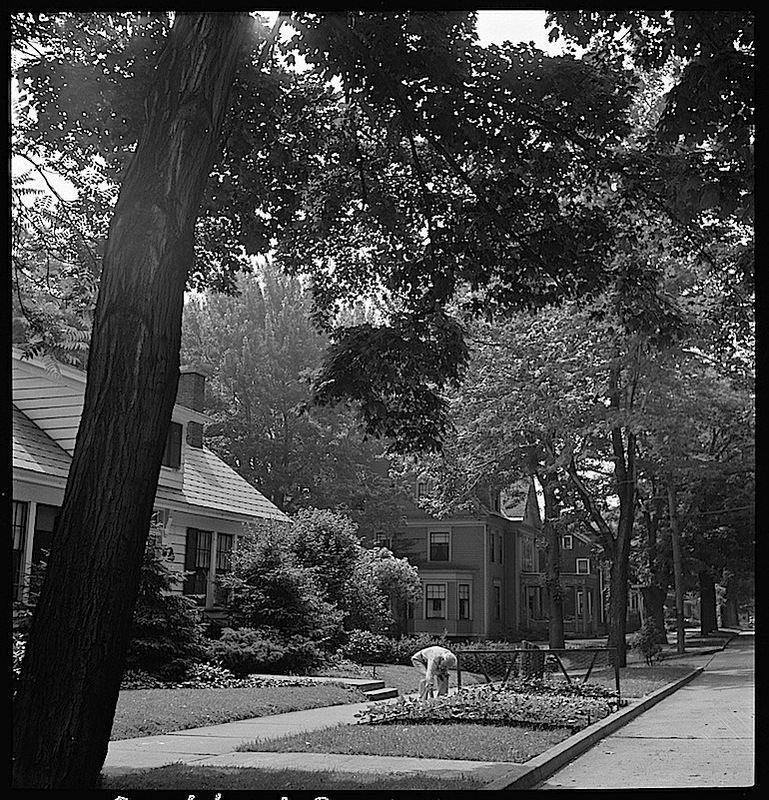 Doesn’t this street just suggest what the war was about? It makes me think of the best kind of American values that people were fighting for.